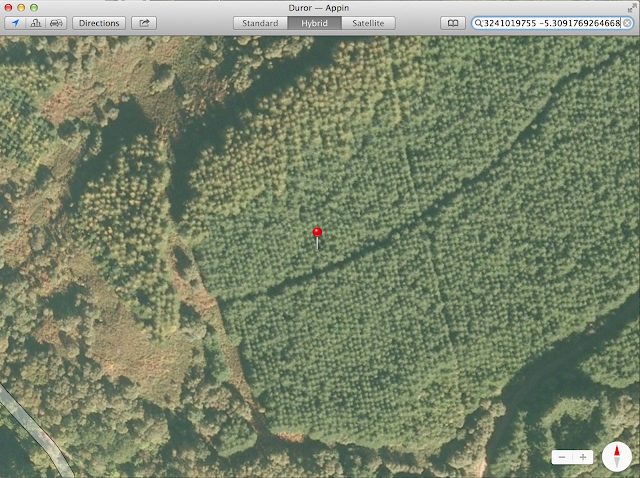 Well, apparently, I now own one square foot of a wood in Scotland (thanks, Louise). According to the web site, being a souvenir plot, it does not have to be registered in the Scottish land registry but is sold simply under a contract of sale for which I have the receipt/certificate. The theory, it seems, is that Laird is a valid name prefix in Scottish for land owner and Lord is simply the translation to English, calling myself Lord would now be correct and valid, albeit misleading. This seems more misleading in someways than Reverend as it is generally accepted (at least in UK) that one should not have a go at someone else's church or religion, so suggesting that ULC is, in any way, not a real religion, is not really allowed. Update: Thanks for the various comments - it does appear to be, as I expected, a slight exaggeration of the truth, perhaps just short of a scam. It seems to be that I do own one square foot of Scottish woodland which seems it can be sold by simply contract (i.e. not registered). But the idea that owning that allows legitimate use of Laird or Lord is not quite sensible. The big clue is that they include a deed poll to change my name to have Lord on the front. If it legitimately allowed a prefix such as Lord (or even Laird), I would not need to change my name as such. Being Mr Lord Kennard or Rev Lord Kennard is a tad odd, and I'll not be doing that then. I did email the land registry to find out if one can in fact register such a souvenir plot and what cost it would be. I suspect not a sensible cost, but would be amusing to do as presumably it means the registration for the area would need a small square hole removing from it. "If you have purchased a title purporting to allow you to use a title such as Sir, Lord, Laird or Lady, we will not recognise such a title because you cannot purchase a genuine British title of nobility." you cannot purchase a genuine British title of nobility." The "UK Deed Poll Service" is a commercial organisation and has no official standing whatsoever. This triggered all my scam detectors, so I did a bit of digging. http://www.scots-titles.com/fake-lairds-lords/laird-schemes-faqs appears to be a well-referenced FAQ. OTOH, if you want to be called LordK, you can take a leaf out of Screaming Lord Sutch's book and just do so. Including any "deed poll" document in the context of a Scottish transaction seems rather dubious (the whole concept only applies south of the border: up here, you simply use the name of your choice, though a witnessed written declaration to that effect helps for changing official documents to match the new name - nothing they can do by mail order, in any case). I believe the same is true here, a deed poll is simply a written declaration to help convince people that you have changed your name. Removing branches would be fun as perhaps visiting it, but would mean a somewhat expensive survey grade GPS I expect!